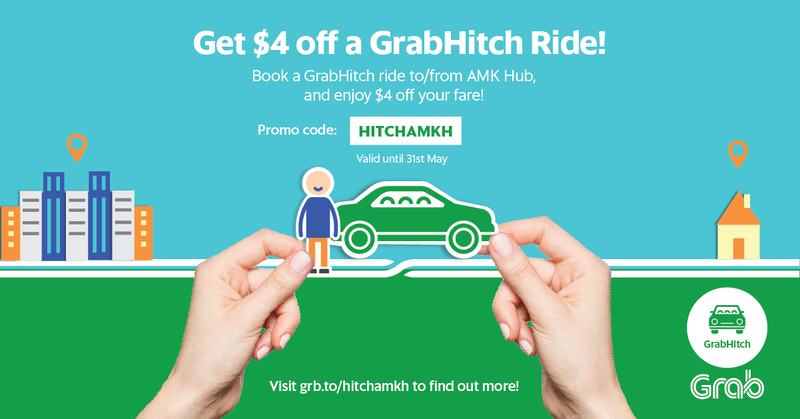 Get $4 off your Hitch ride to or from AMK Hub! Whether you’re shopping or just hanging out over the weekend, skip standing in queues with other travellers and take a ride with GrabHitch instead. From now till the 31st of May 2017, get $4 off ONE ride to/from AMK Hub on weekends (Friday, Saturday and Sunday)! *Terms Apply. This promotion is valid for GrabPay users only. Split the cost of travelling with the driver – lower fares for you. GrabHitch is not an on-demand service. It is powered by regular commuters like you and I. We recommend that you book your ride the night before or at least 2 hours in advance, to ensure that your route has more opportunity to be noticed. 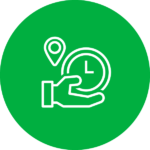 If your timing is flexible, you could write a message in the ‘Notes to Driver’ section (e.g “I can leave 5-10 mins before/after stated pickup time”) to let potential drivers know! Say HELLO to your new Hitch Driver via text message to confirm the journey details! Remember to include details like your exact pick up point and timing in your text message. 3. Tell your driver if you have additional passengers with you! Upon booking, remember to indicate if you have additional passengers taking the ride with you! Hitch Drivers are usually ordinary travellers and not commercial drivers – the last thing they would want is an unpleasant surprise with additional passengers hopping into their cars especially if they are not prepared for it! Bookings have to be made for rides on Fridays, Saturdays or Sundays between 31 March 2017 00:00 hours to 31 May 2017 23:59 hours to qualify for the promotion. This promotion is only valid for rides picked up or dropped off at AMK Hub. Other locations do not qualify. Either the Pick-up or Drop-off location must be “AMK Hub” to qualify. This promotion is only valid with promo code “HITCHAMKH”. Limited to the first 1000 rides per day. Grab reserves the right to amend these terms and conditions at any time without prior notice.